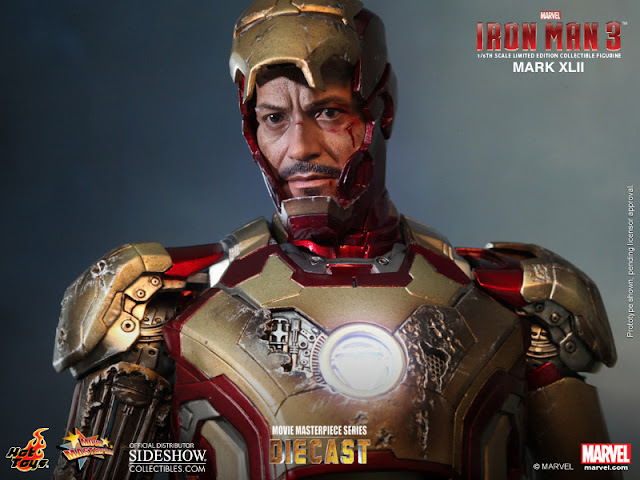 Fruitless Pursuits: Pre-order Hot Toys Iron Man Mark XLII DIECAST 1/6th Scale Figure! 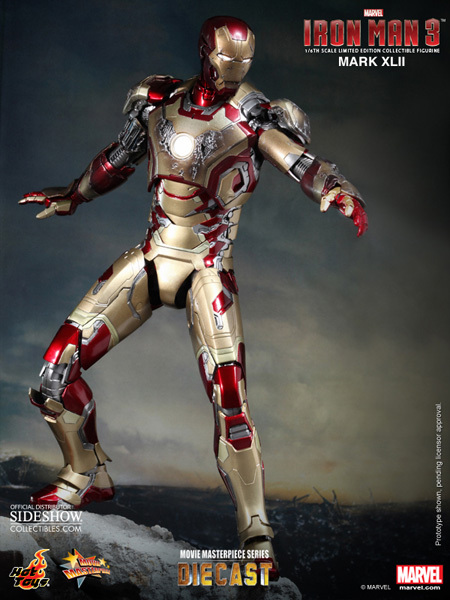 Pre-order Hot Toys Iron Man Mark XLII DIECAST 1/6th Scale Figure! But fear not! 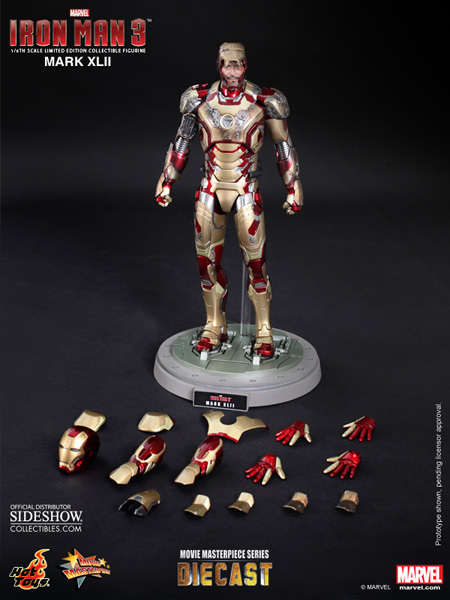 This figure actually has interchangeable parts, so if you're not so keen on displaying an Iron Man that has just had the crap kicked out of it by the terrorist antics of Fu Manchu-sporting villain, then you can also display him clean and factory new. 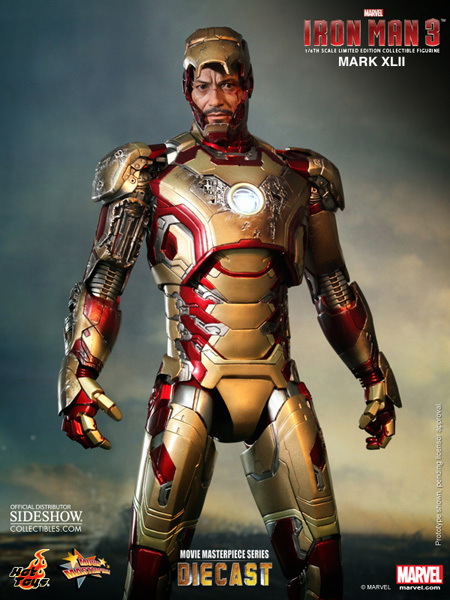 Hot Toys Die Cast Marvel Series Iron Man Mark XLII Limited Edition Sixth Scale Figure - MMS Diecast Series (Hot Toys) Or to see more pictures, join me... after the jump! I think I prefer this one myself, although there's been nothing shown to indicate that this faceplate opens up to reveal a non-battle damaged Robert Downey Jr. I'm pretty sure that if you want to open it up then you're stuck with a bloody Tony who has just been boxed. I guess you could pretend he just cut himself shaving. I don't know though... all these exposed wires, mixed with gold, is giving me a bit of a C3PO vibe. 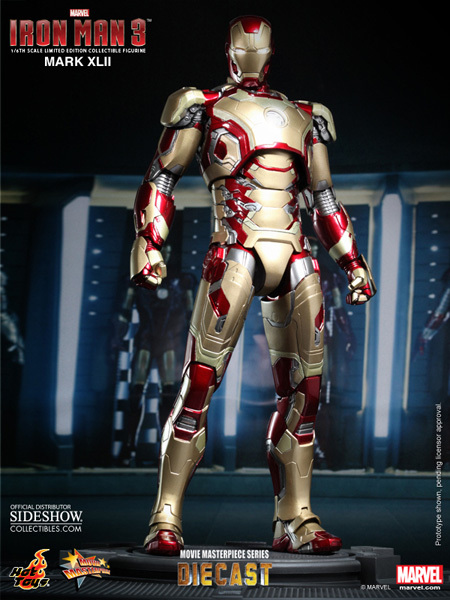 Just for the record, if Tony Stark and C3PO ever decide to get married then I fully support it. There's a few hidden bells and whistles too. Like these hinged panels that open to reveal emergency cheese graters. Probably not the first flaps that Tony Stark has fully deployed. And if you look really closely here you will see all the additional panels that can be switched out. As I said - there doesn't appear to be an extra face sculpt. 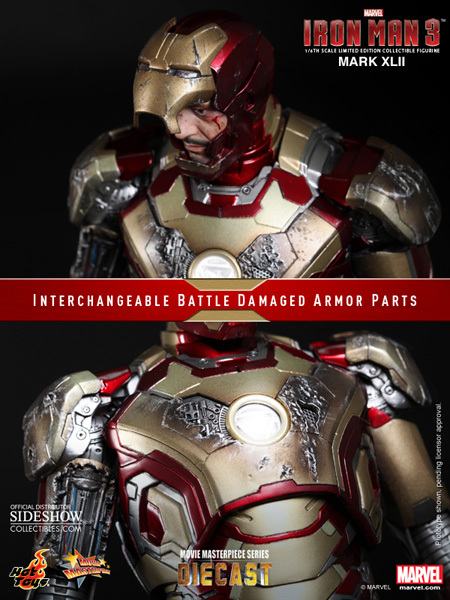 I think that personally I'll probably just stick to my upcoming Avengers Mark VII, but this is nice if you're a big Iron Man fan. 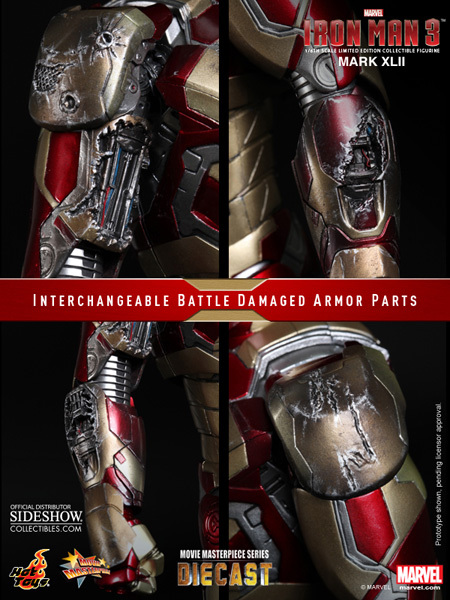 And don't forget that if the metal versions are too costly, you can also grab this same armor far cheaper as part of the new Power Pose line. So many options! Let's hope the movie's good. Ha! 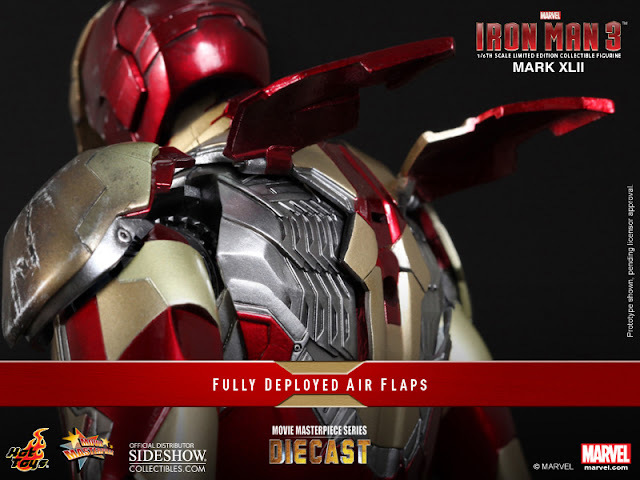 "Probably not the first flaps that Tony Stark has fully deployed" nice one dude.